Why pay by a Budget Plan? Our customers have told us they would like to control the cost of their energy bills, just like the way domestic customers do through fixed monthly payments. Budget Plans are a great way to spread the cost of your electricity throughout the year. How is my Budget Plan payment amount calculated? 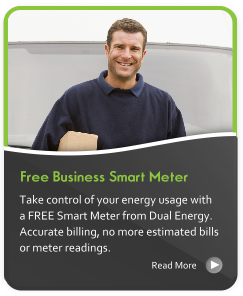 We project your future energy usage based on the information you give us when you join. If this information is not available, we may ask you some questions about your business to help us make an accurate estimate. We take account of seasonal weather patterns, and include charges for VAT & Climate Change Levy. Is a Budget Plan via monthly Direct Debit the only payment method? Yes, all new customers benefit from Budget Plan payments, removing your business cash flow concerns over seasonal usage fluctuations and potential back-billing. What if I use more/less than projected on my Budget Plan payment? We regularly review your account to ensure your payment amount reflects actual usage. If your usage goes up or down enough to warrant amending your payment amount, we will tell you what it is changing to prior to payment collection. Will I get a refund if my account is in credit? You may find your account is in credit particularly over the summer months when you use less energy. Through your Budget Plan this will be kept on your account to pay for higher usage during the winter. If you leave us and your final bill shows a credit, we simply pay it back to your bank account. Need more help understanding Budget Plans? Contact our dedicated UK Customer Services on 01903 703400.